Musical families have been around in the business for quite some time with last names like Jackson, Dylan, and Marley indicating an extensive lineage of artists. There have been few that have the collective talent the Wooten Brothers possess. While not as known as some of the aforementioned examples, Victor, Joseph, Roy, and Regi have already left a lasting mark in the industry and continue to widen their influence today. 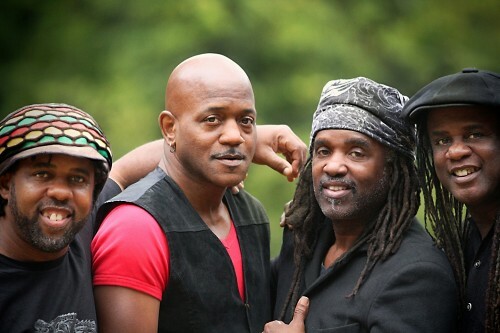 This Sunday, December 15th and Monday, December 16th, The Wooten Brothers will be taking the stage at at The Egg in Albany and The Tralf Music Hall in Buffalo, respectively. It has been several years since the foursome have toured and they should be firing on all cylinders with the Albany and Buffalo dates being two of the last three of this incredible tour. It is rare that these guys get together, so this is a special one for not only the fans, but the four on stage as well. The show that awaits is a night of pure fusion as each have a huge array of influences that could be pulled from at any point. Roy, also known as Futureman, is the drummer with brother and bassist Victor in Bela Fleck and the Flecktones. Roy plays what he calls a “drumitar” which looks similar to a guitar, but employs various drum sounds via an array of buttons. Those familiar with classic rock might also know of Joseph who is the keyboardist for the Steve Miller Band. Something must have been in the water because there was no shortage of talent to go around this family. If still needing more of a push though, there’s a pretty good chance that you’ll catch one of the world’s best bassist that night. Victor Wooten, yes from above, is one of the most recognized and talented bass players both currently and overall. Youngest of all of the brothers, Victor has won five Grammy’s with Bela Fleck and the Flecktones adding his smooth groove and virtuosic touch to a bluegrass/jazz fusion. Among other awards, Victor was also named the tenth greatest bassist of all time by Rolling Stone readers in 2011. The sounds he pulls out of his bass could go unexplained by a seasoned musician. Albany and Buffalo were luckily selected as two of the 13 dates along the East Coast for this two-week family jaunt. Thanks to the brothers, Upstate gets an early gift this year.